Unless you haven’t had a TV in your life or you have been living in outer space, you will have probably heard about a show called The Apprentice? 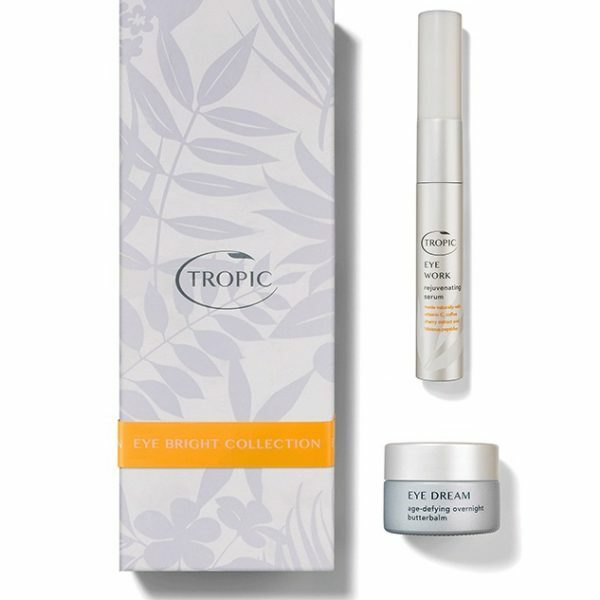 Well, do you remember the Eye Bright Collection from Tropic Skincare? When Susie Ma appeared on the show in front of Lord Sugar in 2011 and presented her idea, he instantly saw potential and after hard work and keeping her goal in mind, we now have the opportunity to buy the products. 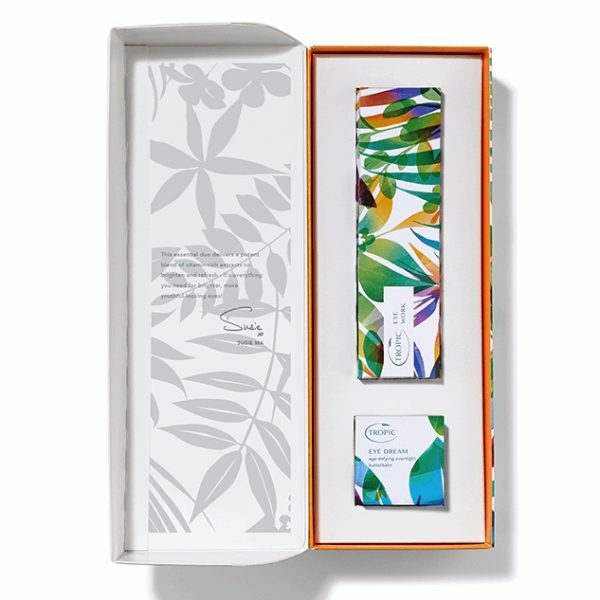 Susie is from Cairns in Australia and found inspiration from the benefits of plants and botanicals that she now uses in her products. As a result, Tropic loves all animals and doesn’t believe in using anything that would cause them any harm. All products are completely cruelty free, free from harmful toxic chemicals and only contain pure natural ingredients. In short, their products are pure honest and effective. Growing old gracefully is one thing (I’m not saying it’s in anyway bad, goodness I hope I will! ), however, I believe the skin always needs a little tender loving care. Your face needs a little more attention than just smearing on the closest body lotion you can find in your bathroom drawer – I mean, it says BODY lotion, for goodness sake! 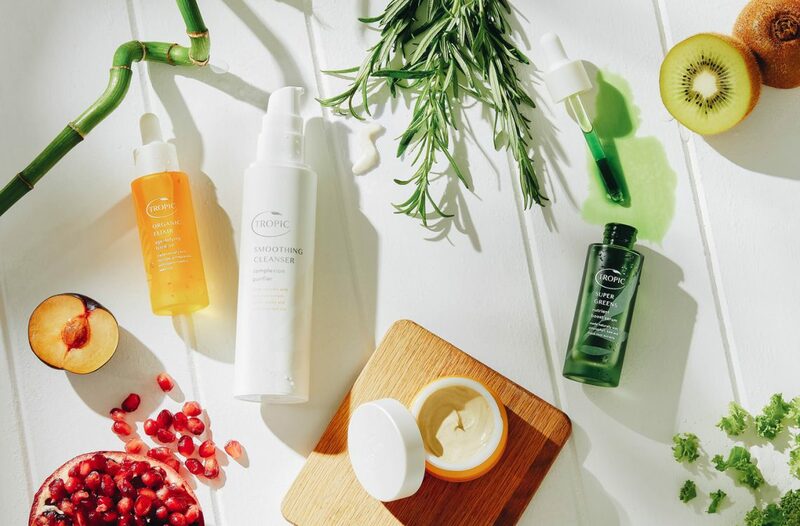 After having been lucky enough to review many products over the years, I have also learned that different areas of your face does well with different products and, for me, organic is the way to go as it is milder on my skin. The Eye Bright Collection that I received contains two products, the Eye Work Rejuvenating Serum and the Eye Dream Age Defying Over Night Balm. I started with the Rejuvenating Serum and this is now my absolute favourite! I love how it feels when applying. It has a bespoke ceramic tip slightly rounded that applies the serum flawlessly and the coolness to the ceramic is so comfortable under your eyes.The Serum helps reduce age pigmentation, dark circles and reduce puffiness, and you can reapply throughout the day when you want a little “pick me up”. Before bed, after washing all my make up off, I would move on to the Eye Dream Age-Defying Overnight Butterbalm. It’s easy to apply rich in texture without being greasy.This magical little pot is filled with a wonderful mix of vitamin rich extracts all working its magic during the night helping to reduce signs of ageing and plump the skin under your eyes. 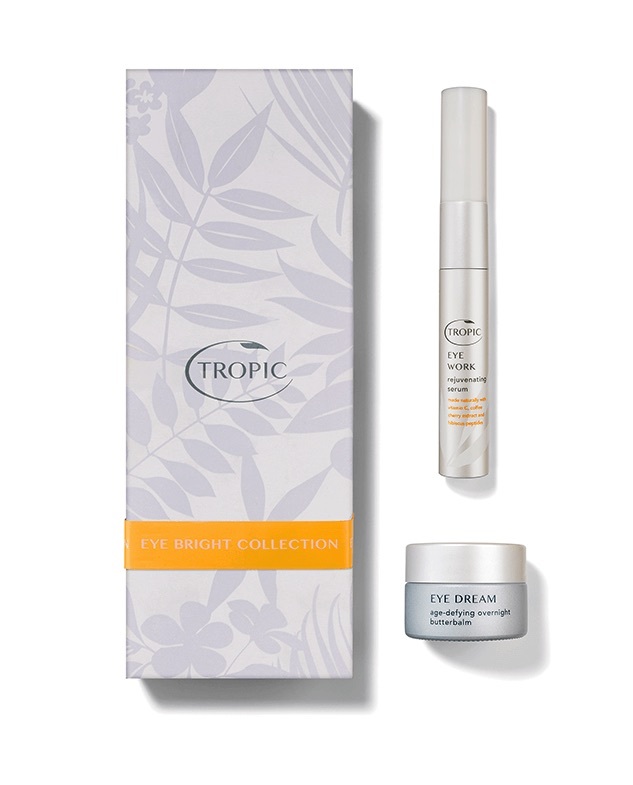 Tropic Skincare offers so much more than this gorgeous Eye Bright Collection set, everything from make up to hair care can be found. For Christmas, there are several product collections that would make excellent gifts so have a browse and treat someone or yourself. 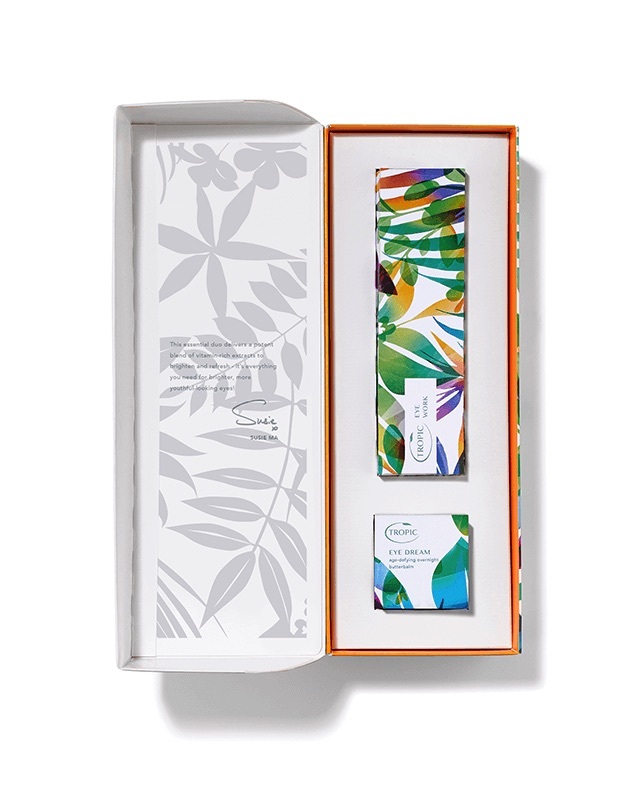 To find out more about Tropic and the Eye Bright Collection, visit their website.